In this blog series, we debunk unreliable strategies for approaching various Logical Reasoning questions on the test. How to approach Weaken questions on the Logical Reasoning section of the LSAT. In this blog series, we debunk unreliably strategies for approaching various Logical Reasoning questions on the test. Do not take your practice tests under optimal test-taking conditions. Solid LSAT prep requires getting trained for distractions! Were you waitlisted? Here’s what you should do. How do you turn a waitlist into an acceptance? Read on to find out. If you signed up for a prep course that does not begin for some time, you may be wondering if there is anything you can do in the meantime. Read on to find out. Can nutrition affect your LSAT score? 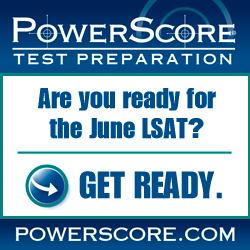 If your LSAT practice test scores drop on occasion, it is important to understand why.